“Spelling Lesson.” Poem by Kevin Kinsella. 2013. 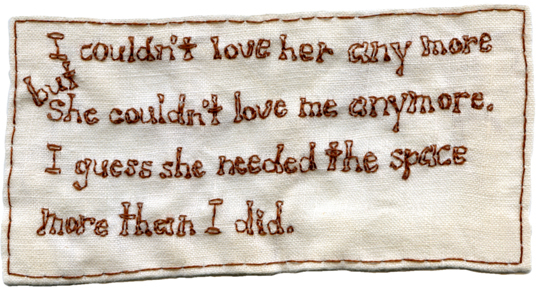 Embroidery on fabric. 2.5″x5″. In a private collection.